Discussion in 'My Merry Christmas HQ' started by Jeff Westover, Oct 27, 2016. As we're seeing an uptick in new members, which is common for the fall months of the year, we feel a need to remind of some very basic standards we uphold on the Merry Forums. 1. If you're here to tell the world about your Christmas-related product, website or application, we welcome you. Please post your information in the Merry Marketplace sections devoted to this purpose. It is free. If you post in other areas of the forum you stand the chance of getting instantly banned. Repeated postings of the same link will NOT be tolerated. This is spam. 2. Be nice. We have a wonderful and polite community of Christmas enthusiasts from all over the world here. There are many opinions and we all do Christmas a little different. But we hold in common peace and goodwill. You won't find political talk or a lot of debate here. We like it that way. 3. 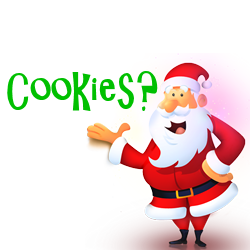 Be aware that we have many, many younger folks accessing our Santa features through the forums. Most never register because they are too young. But they read. Please watch what you say. 4. Linking to outside websites is fine within reason. 5. Almost all of our features are community-driven. If you have an idea or suggestion we welcome it. Thanks for being a part of the Merry Forums. HollyJolly, Christmasstar, Jessica King and 14 others like this. Merry Christmas! Rules seem easy enough and full of common sense. Thank you for this website. I have a 5 yr old grandson. Thank you, I'm sure it will be a nice journey ! Just joined and will be lurking around while i learn the ropes. Thank You, looking forward to chatting with other Christmas Lovers. Christmasplease and Jeff Westover like this. Well this seems easy enough. Looking forward to being in contact with some ol pals from years ago! Rules seem simple and very much appreciated! I have read & Understand the rules! I have just joint so it's all new to me, but I love Christmas, so I will have lots of fun using the website all year round. I have read & understand the rules. irishsnow, He_Is_Born and RadioJonD like this. I am so excited to be here! MERRY CHRISTMAS IN AUGUST!